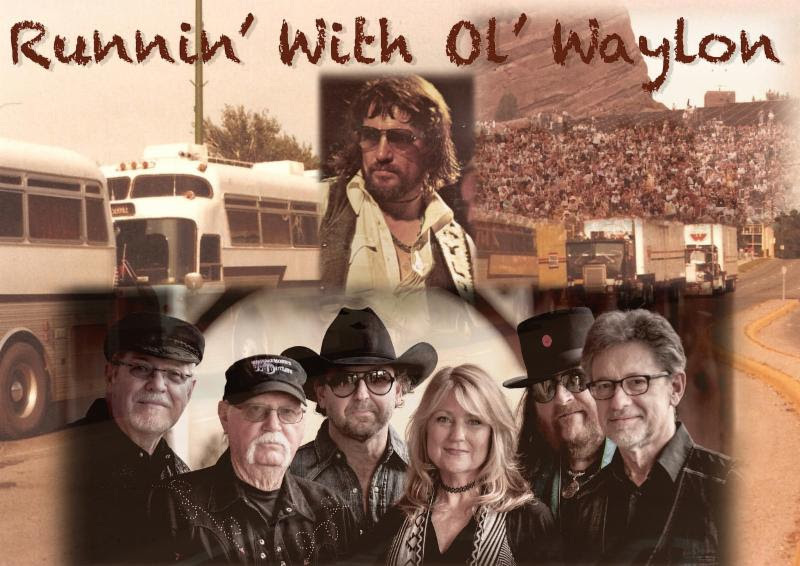 Five former members of Waylon Jennings’ recording and touring bands are reuniting and hitting the road to present “Runnin’ with Ol’ Waylon” – Music and Memories of Waylon Jennings this summer. The tour kicks off at Nashville’s City Winery June 16, 2018. The new tour will present a concert experience that chronicles one of the most powerful movements in Country Music history. The multimedia show will give the audience a unique opportunity to experience the fascinating personal stories, never before seen video and images as well as great performances of Waylon’s music, all from the band who lived it. The band will hit the road as The Waylors and feature Waylon’s original drummer Richie Albright, Alabama Music Hall of Fame Award winning bassman Jerry “Jigger” Bridges, the only female member of Waylon’s band during the Outlaw era, artist and vocalist Carter Robertson, Grammy Award-winning producer Barny Robertson on keyboards and ACM Award-winning steel and lead guitar veteran Fred Newell. Covering vocals and guitar is Tommy Townsend who, early in his career, was mentored by Waylon. Collectively, the band performed on the recordings of Waylon’s mega hits such as “I Ain’t Living Long Like This,” the Dukes of Hazzard“Good Ol’ Boys” theme song, “Luckenbach Texas” and “Rainy Day Woman” as well as countless other gold and platinum hits. For more information, stay connected with Waymore’s Outlaws at www.WaymoresOutlaws.com.